Owen (CHRIS PRATT) reconnects with Velociraptor Blue in "Jurassic World: Fallen Kingdom." When the island's dormant volcano begins roaring to life, Owen and Claire mount a campaign to rescue the remaining dinosaurs from this extinction-level event. Welcome to "Jurassic World: Fallen Kingdom." Credit: Universal Studios and Amblin Entertainment, Inc. and Legendary Pictures Productions, LLC. Isla Nublar, the island setting for the Jurassic Park franchise, has always seemed like an idyllic place. Lush rainforest. Scenic mountaintops. Blue water. Sandy beaches. It’s always seemed like the place for the perfect off-the-grid vacation, if it didn’t happen to be home to murderous dinosaurs. In the novels by Michael Crichton, the franchise’s source material, Isla Nublar was said to be located off Central America’s Pacific Coast somewhere near Costa Rica. But Steven Spielberg brought production to Hawaii to find the raw, untamed rainforest where he could set the science-fiction tale. Since then, every one of the Jurassic movies have been shot at least in part on the islands. Jurassic World: Fallen Kingdom is no exception. Getting to the island has never been easier, with Hawaiian Airlines doing non-stop flights to Honolulu. 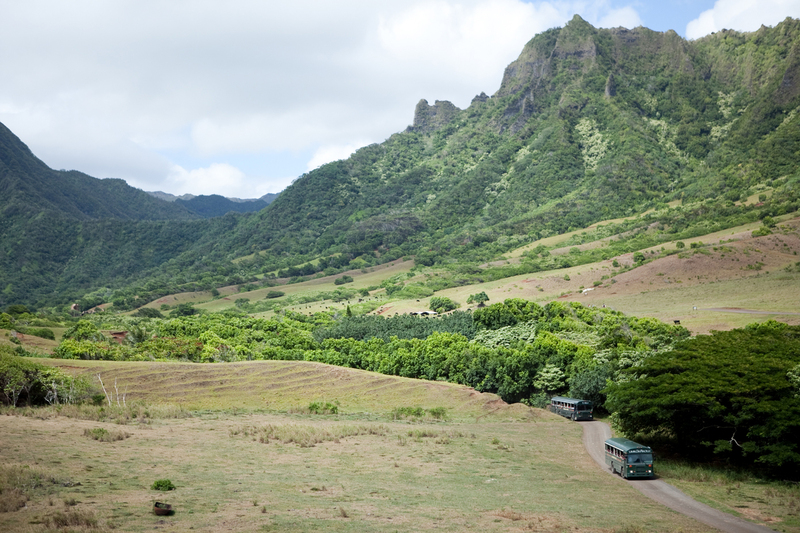 According to Sode-Matteson, there are a number of great tour companies on Oahu where they shot Fallen Kingdom, that guide guests around the island on ATVs. But sometimes you want to get out there on your own. Just make sure you bring flares, just in case you come across a wandering T. Rex. On the windward side in Kaneohe Bay, this harbor plays a main role in Fallen Kingdom. You can rent a jet ski and see the island from the ocean. 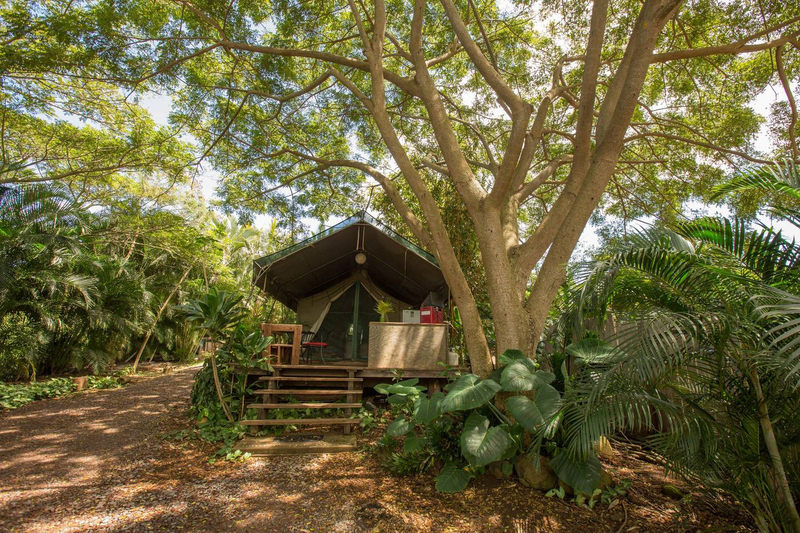 This private nature reserve has been used in a number of the Jurassic movies, like the Jurassic Park scene where Doctor Alan Grant and the kids watch a T. Rex chase down a herd of Gallimimus. For Fallen Kingdom, the T. Rex returns to his old stomping grounds. Chris Pratt’s character, named Owen Grady, and a velociraptor reconnect in this park with views of the Ko’olau Mountains. This remote beach on the island’s North Shore gets a visit from an Apatosaurs in Fallen Kingdom. The area is also known for its surfing, so pack a board if you can. This scenic pier on the windward side looks out to pristine blue waters, and was used as the gateway that received visitors in Jurassic World. Enjoy the island in all its glory, and get great pictures, with a helicopter ride. 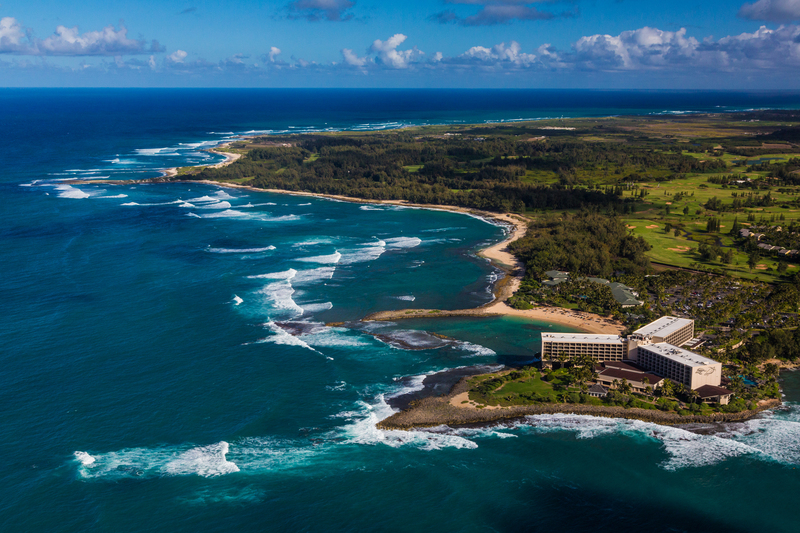 The roughly one-hour trip covers the entire island, and includes views of Pear Harbor. 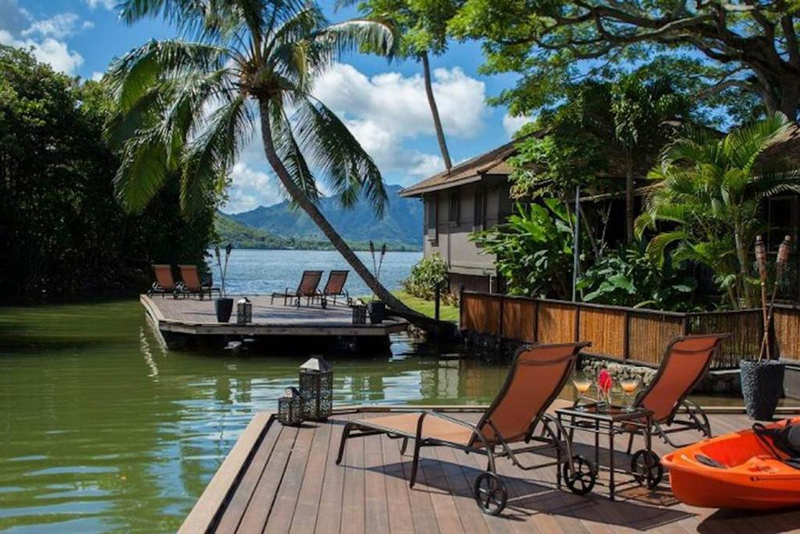 On Oahu’s north shore, this secluded resort also has locations that were used to shoot Fallen Kingdom. Located near the He’eia Kea Harbor, this island-inspired spot brings the environment into play. This unique eco-hideway is located in a river valley at the base of Mt. Ka’ala on the windward part of the island, where many scenes were shot. The property is completely off-the-grid. Bonus: It’s solar-powered, too.